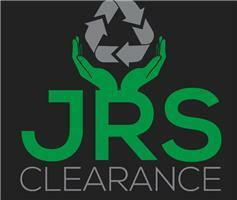 J R S Clearance - Cleaning Services, Removals/Storage, Rubbish/Waste/Clearance based in Rainham, Essex. From a full house clearance to single items we can help make a stressful time much less stressful, with years of experience it’s a straight forward process we arrange a time for a free quote and advise you the best way to proceed, we also offer a deep cleaning service to those who require so it can be a one stop shop to getting a property where it needs to be. Full Licenced family run business. You can count on JRS Clearance for a reliable and experienced Commercial, Domestic and garden clearance service, domestic removals and single item moves. We have over 16 years of experience in this business, and offer a quick and efficient service. We have a dedicated and friendly team who will take care of the hard work for you. So, you can be sure of a hassle-free service at a highly competitive rate. We also make sure that all waste is disposed of responsibly and recycled whenever possible. Bed's Wardrobes & Televisions etc. Call Today for Quotation 01708 903082 please click here to view our website for further information.